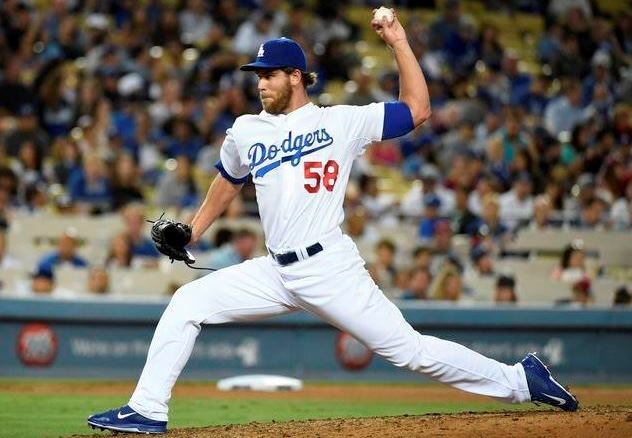 When the Los Angeles Dodgers clinched the National League West on September 29, former York Revolution pitcher Ian Thomas (’12) was a part of the clubhouse celebration, a member of the Dodgers expanded September roster. Thomas is the first former Rev to be on an MLB roster when that team clinched a playoff spot. 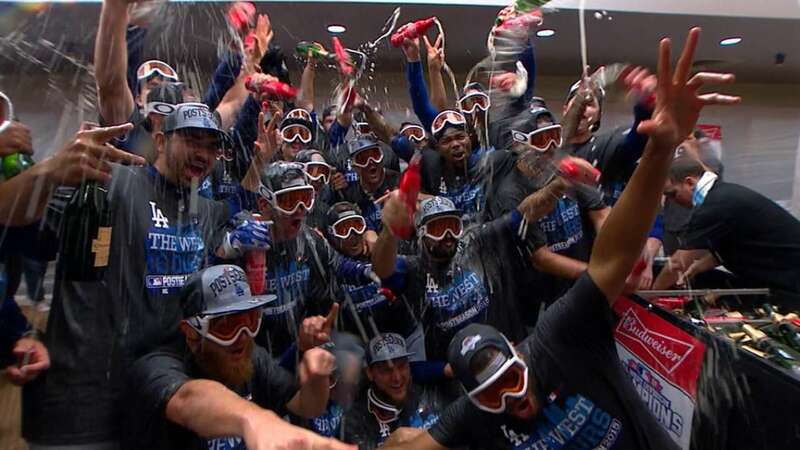 Last season, former Revs catcher Octavio Martinez (’11), who is in his third season as a member of the Washington Nationals Major League coaching staff, was a part of their NL East clinching celebration, but it’s Thomas who will hold the distinction of being the first Rev to enjoy a big league champagne and Budweiser shower. Thomas is the second former York player to be part of an MLB playoff team at any point in the season; last year RHP Julio DePaula (’13-’15) was on the Orioles Major League roster for one game, but not with the club when they celebrated clinching the AL East. The York Revolution has announced the Atlantic League contract of infielder Mikey Reynolds has been purchased by the St. Louis Cardinals. 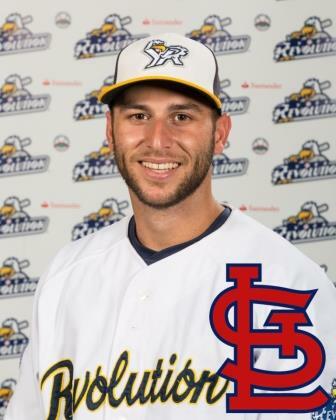 It marks the first time in the nine-year history of the Revolution that St. Louis has purchased the contract of a York player in-season, and Reynolds is the second former Rev to join the Cardinals organization. Reynolds joined York shortly after the 2015 season began, signing with the Revolution on April 28 after his rights were acquired from the Fargo-Moorhead RedHawks of the American Association a day earlier. Reynolds quickly became a fixture in the Revs lineup as the club’s primary leadoff man, with his average ascending to .346 by May 25. On that date however, Reynolds sustained a broken thumb on his throwing hand on a ground ball, and the injury sidelined him nearly seven weeks, as he returned to the lineup July 11. When the Minnesota Twins purchased the contract of Shannon Wilkerson from the York Revolution on July 9, it marked the first time a former Rev went to work for that organization. 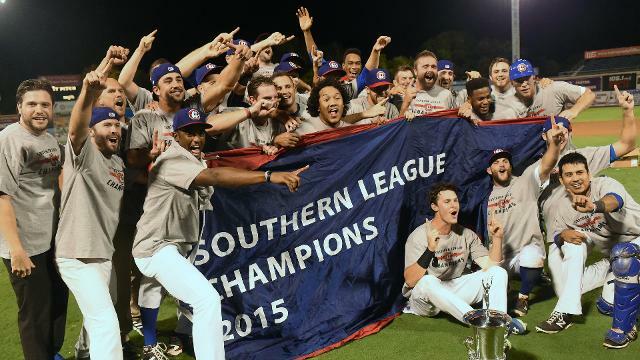 Upon his assignment to the Double-A Chattanooga Lookouts of the Southern League, each party took full advantage of the transaction, as the Lookouts won their first championship since 1988 on September 21, defeating the Biloxi Shuckers (Brewers) 4-0 in the deciding Game 5 of the series. Chattanooga rallied from a 2-1 series deficit, winning Games 4 and 5 at home to secure their first Southern League title in 27 seasons. Wilkerson, who immediately moved into an everyday role with his new club as their center fielder, batting either lead-off or ninth, was a big factor in the series going 7-for-19 (.368) with an RBI and a run. In nine postseason games, Wilkerson hit .303 with five RBI and five runs scored. To advance to the finals, Chattanooga dispatched the Montgomery Biscuits (Rays), in four games. 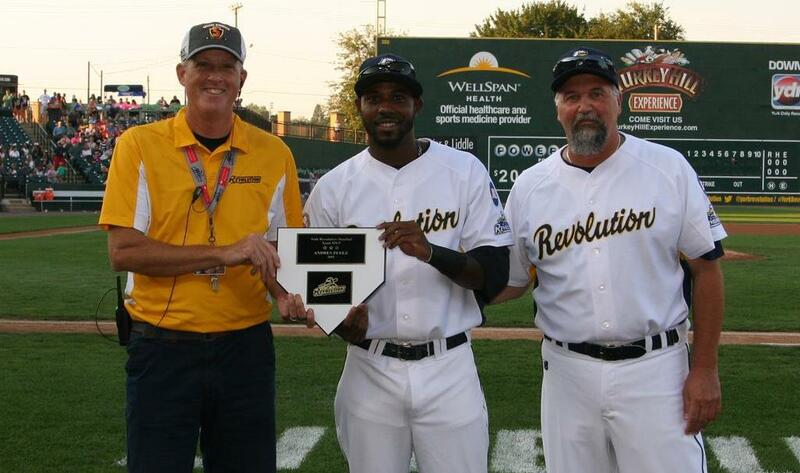 Prior to the game on September 19, York Revolution infielder Andres Perez was presented with the organization’s Most Valuable Player award for the 2015 season, by Team President Eric Menzer and Manager Mark Mason. All Perez did to celebrate the occasion was go 4-for-5 with a two-run double and a three-run homer, and his six total RBI helped the Revs beat Somerset 11-6 in the penultimate game of the season. The Saturday night crowd at Santander Stadium was a season-high 6,291. In his third season as a Rev, Perez has re-written a good portion of the York record book. On July 19 at Lancaster, he became the Revolution all-time hit leader with his 384th in franchise history, and sits at 465 career hits with York after September 19. That’s now 82 more hits than the man Perez passed, James Shanks (383). Perez is also the career-Revolution leader in doubles (105), extra-base hits (163), total bases (738), games played (395) and at-bats (1556). His 248 RBI in a Revs uniform makes him the all-time franchise leader in that category as well. (The night Perez became the franchise RBI leader August 14 at Bridgeport, he also drove in six runs, in a 3-for-6 effort, also with a double and a homer in a 13-5 win.) Perez is currently second on the Revolution career home run list; his 16 this season makes for a total of 52, seven shy of Chris Nowak’s 59. This photo explains it all. Former Revs lefty Ian Thomas was one of a MLB-record 58 players used in a single game when the Rockies and Dodgers played 16 innings on September 15 (and into 9/16). The jersey number former York Revolution pitcher Ian Thomas (’12) has worn in his two Major League seasons with the Braves and Dodgers will now carry some coincidental significance; by pitching one third of an inning on September 15 during the 16-inning game between Colorado and Los Angeles at Dodger Stadium, Thomas was part of a game which featured a MLB-record 58 players used. 24 pitchers were used in the game, also a big league-record. Tied 3-3 in the top of the 10th with two out, Thomas came in and retired the only man he faced, Rockies slugger Carlos Gonzalez on a ground out to short. It always seems to happen in marathon extra-inning games: Each team scored a run in the 11th to keep the game going. After Colorado’s DJ LeMahieu put the Rockies ahead with a one-out RBI single to center, staffed at the time by Lancaster native Chris Heisey, it was Heisey who returned the favor with a one-out run-scoring infield single of his own to extend the game. Go figure there ends up being a York and Lancaster connection to this bit of Major League history. That titanic Telvin Nash home run allowed the 2015 Revolution to share a milestone reached only by the 2010 and 2011 championship clubs. It was Nash’s 10th of 2015, which made him the sixth Rev this season to reach double-digit homers. As of September 15, Andres Perez (15), Bryan Pounds (13), Brandon Boggs (12), Eric Patterson (10), Nick Ferdinand (10) and Telvin Nash (10) paced York in home runs this season. What’s especially impressive is Ferdinand and Nash were not with the club until June.